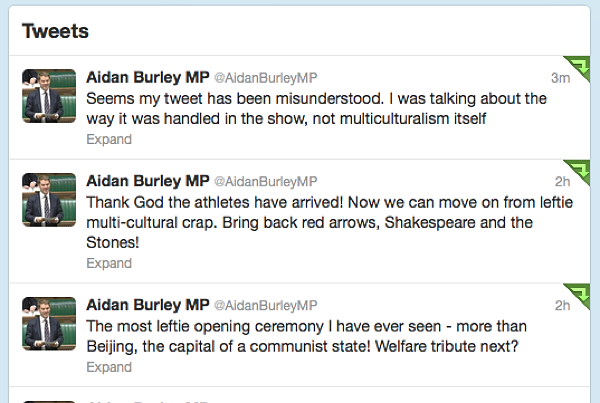 Meet the Conservative Minister of Parliament for Cannock Chase, everyone! As always, because it’s Twitter, start from the bottom and read up (He’s tweeting about the opening ceremony for the Summer Olympics, in case you can’t guess). Social media isn’t that hard, people. Just don’t say anything that you’d be embarrassed for other people to see. Like, for example, the above.